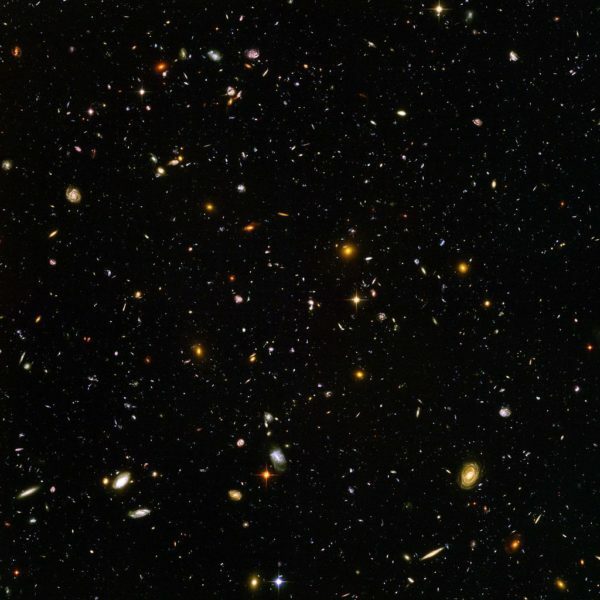 A couple of years ago, the Hubble Space Telescope began pointing its camera at a small area in the night sky. The area, about a tenth the size of the full moon, appeared to be complete blackness with no stars visible to the naked eye. Each star may have a system of orbiting planets. 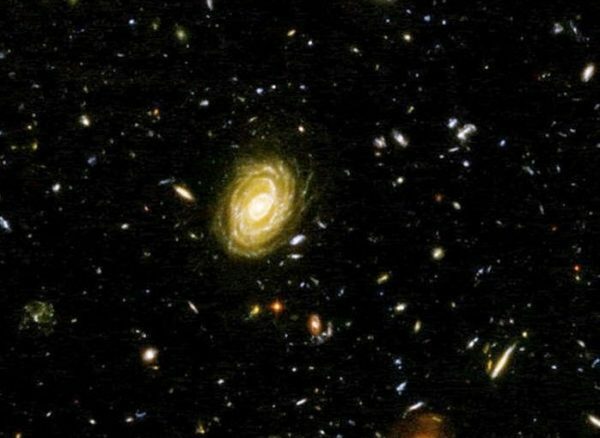 There are over 10,000 galaxies in this photo alone. These are the most distant objects ever photographed. More than 13 billion light years away. The large galaxy pictured here contains 8 times as many stars as our Milky Way Galaxy. It is so large, it technically shouldn’t exist according to current physics’ theories. And here comes the great part, the mind blower! We’ve got ALL OF THAT from a tiny, little dark square, smaller than the full moon, that looked like NOTHING! Why stop there… after a galaxy functions as ONE why not unite with a cluster of galaxies… and go on until The Whole Universe is united in ONENESS. Because, if you ask me, that’s the purpose of The Universe. I mean it’s in the name. UNI VERSE meaning ONE SONG. Those are the words of GOD. That’s GOD’s song. The Universe.